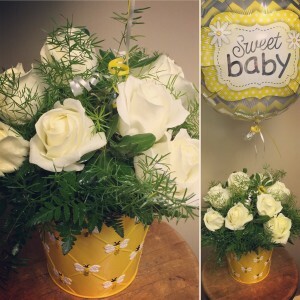 12 white roses arranged in the sweetest embossed metal bucket container. 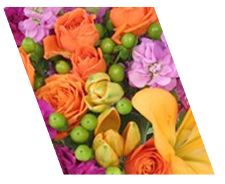 The matching balloon is included in the presentation. 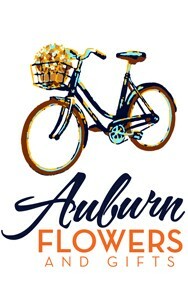 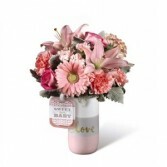 This container is a great one to keep after enjoying the flowers. 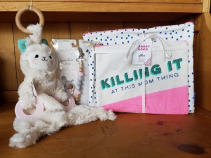 It's a good organizer in a nursery closet or for shampoo and bath time items. 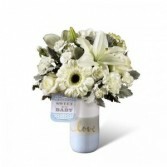 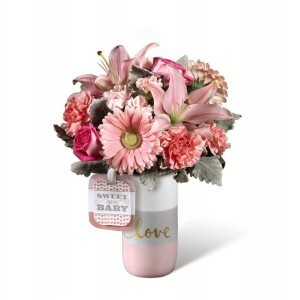 This bouquet by Hallmark is presented in a keepsake ceramic vase with a pale shade of blue at the bottom, "Love" written in a metallic script font at the dusty gray center, and white on the top, with a Hallmark tag that reads, "Sweet New Baby." 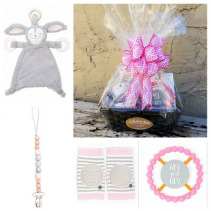 This is a great option for a quick gift for the curious toddler. 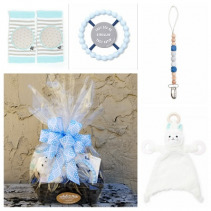 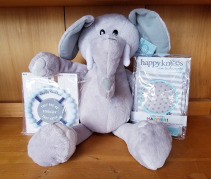 This gift set features a plush elephant for the boys, with Bella Tunno's Teether and Happy Knees.